Strong, healthy roots develop in a high-quality, nutrient-rich medium. 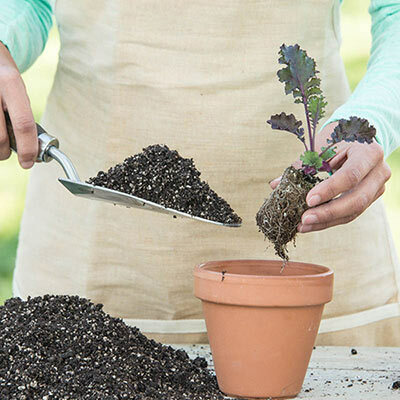 If you're potting up a new plant, you should begin with a medium that will provide the ideal conditions for its growth—we suggest Perfect Start™. This soil substitute includes humus, Total Minerals™ worm casings, calcium, coir fibers for water retention, and additional minerals. It's all-natural and full of nutrients that plants need. It's ideal for containers—indoor, outdoor, window boxes, hanging baskets and for transplants. It works great with flowers, vegetables and herbs. You can also add a few scoops of this to tired, nutrient-poor soil to increase its productivity. Ready to use. 16 qts.